The posters has given this video a better description than it deserves. It is an interesting video but choppy and hard to watch. This amazing video shows a triangle formation staying stationary while 2 orbs leave a forrest and ascend towards the huge triangle while one shoots beams of light to the ground like a weapon being used while travelling to the formation. Its totally unusual to see such activity in any sky and to witness this is something else. Whatever the beam of light was and where it hit would be a great story if ever investigated as it was aimed at something! Animal,cottage,car or something military we will not know!  The huge dark triangle with lights pointed at each corner keeps its position and adds to this credible footage as it shows the objects heading towards it fast enough.